I bought a pint of peppers at the farmers market that looked perfect for pickling (and no, I can’t stop thinking about Peter picking a peck of pickled peppers), so I made a simple quick pickle brine that included some of my potted oregano, figuring they’d be awesome on pizza. Plus, I’m a plant killer and the oregano is pretty much dead so I figured I might as well use what I can. (It’s a shame; it was a particularly potent variety and the plant smelled strongly of pizza – I was drooling when I bought it. Curse my black thumb.) 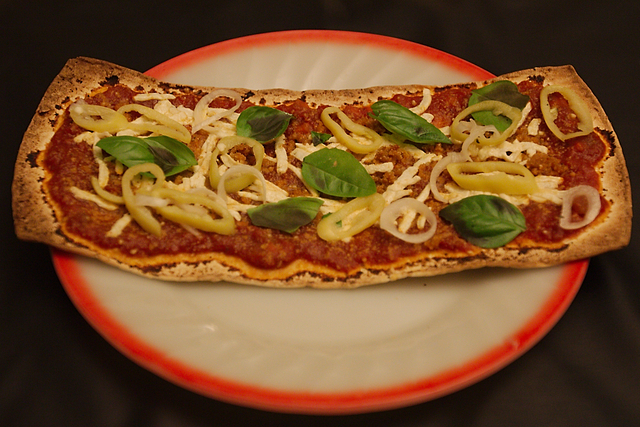 Though I made it specifically for putting on pizza, I’ve been eating it by itself as a garnish with every meal I’ve had, even stir frys. Unless Mark is ready to harvest a bunch of the peppers he’s growing (he does NOT have a black thumb), I’ll have to buy another pint or two of peppers at the market this weekend. 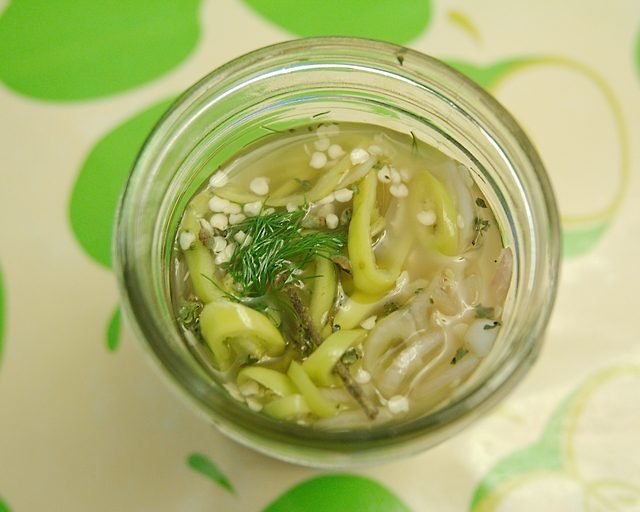 The brine gets spicy and delicious as well. Combine the vinegar, water, sugar, and salt and heat until just boiling (in a small pot or in the microwave), whisking to ensure the sugar is completely dissolved. Slice the peppers (seeded if you like) and shallot thinly. Smash the garlic cloves lightly with the side of a knife. Toss the peppers and shallots together to mix them up and put them into a pint canning jar with the herbs and garlic cloves. Pour the liquid mixture into the jar. 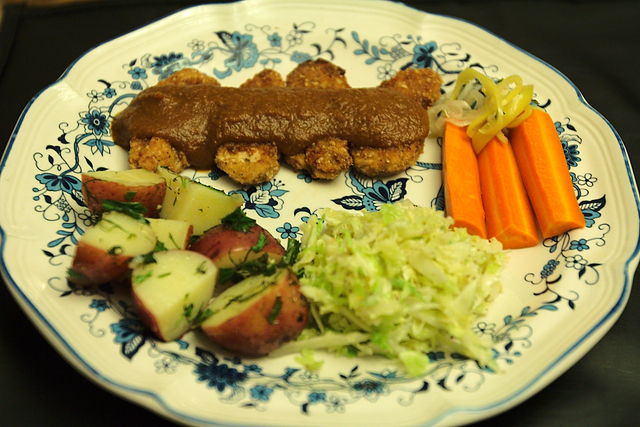 This had a good flavor a mere half hour later, but is really best after refrigerating for 24 hours. A tasty garnish for just about any dish! 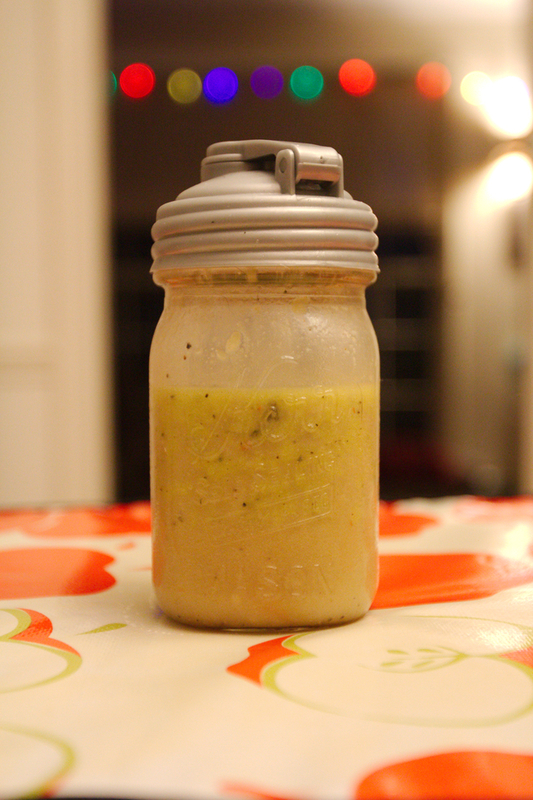 I had extra brine, so I added some olive oil, fresh herbs, and lemon juice and made a salad dressing out of it. Mark is a big mayo-hater, and although I don’t hate mayonnaise, I do consider it pretty unhealthy, so I usually do vinaigrette versions of salads that are usually dressed in mayo, and honestly, I think they taste much better that way. I don’t usually prefer dressings to be creamy, but this coleslaw recipe uses a little bit of yogurt for a hint of creaminess. 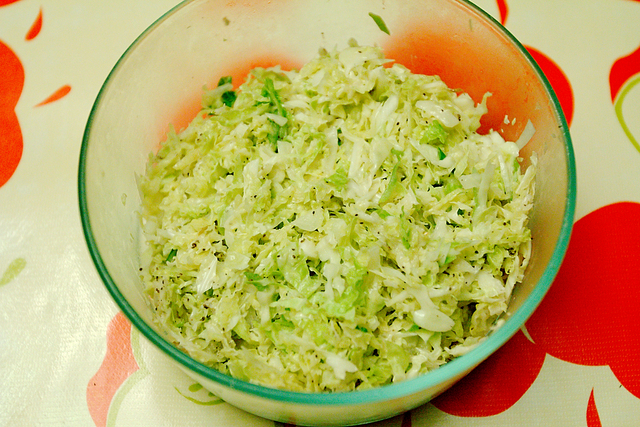 Grate the cabbage and the onion – I use a mandolin for this – and put in a large bowl with the green onions. 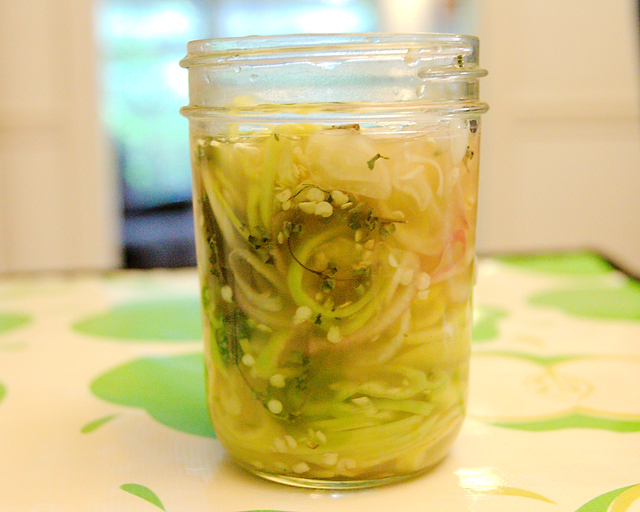 Whisk together the vinegar, yogurt, oil, sugar, mustard, salt, and celery seeds. Pour the mixture over the cabbage and onions and mix thoroughly; I advise using your hands. Cover and refrigerate at least an hour to allow the flavors to blend. 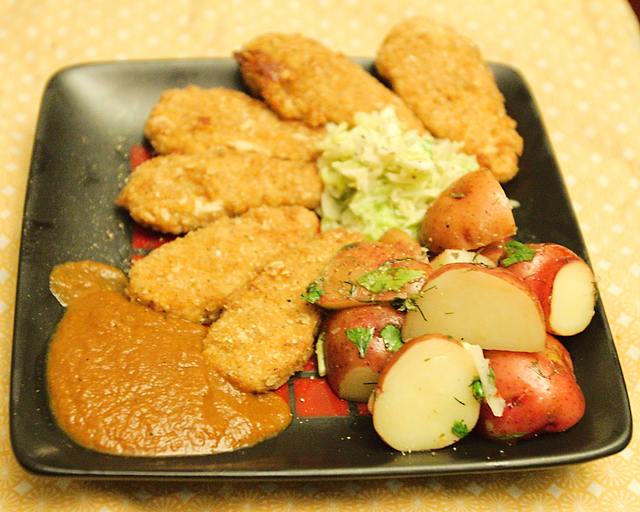 Mark spends about 10 minutes artfully arranging the food on his plate every night. He watches too much Gordon Ramsay. 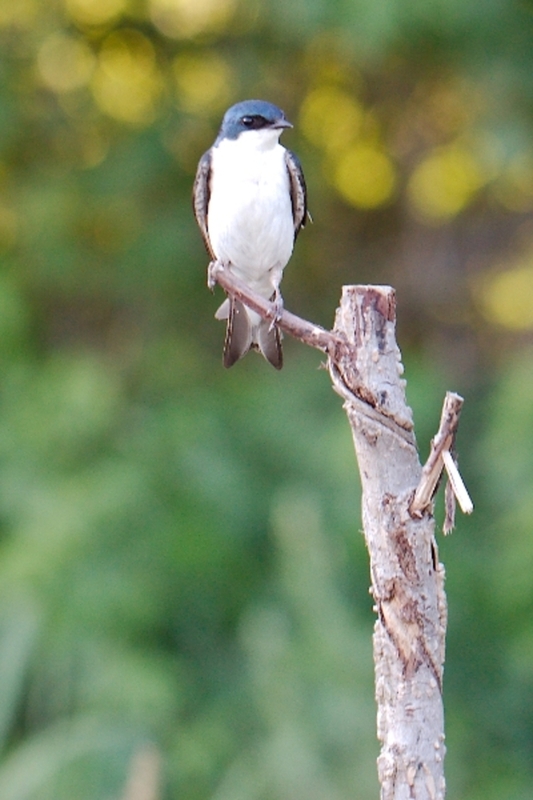 If perched on a ledge from which dangles food on a long string, know to pull up on the string, making loops and stepping on them with their feet, until the food is hoisted all the way up. Not only manufacture tools (the classic example is bending wire to make a hook), but will use items they previously proved unhelpful in other endeavors to assist making their tools – they are very innovative and can reassess the usefulness of tools in different situations. Will place leaves over bread tossed from humans to geese, so the geese can’t find the bread and leave in frustrated confusion, at which times the crows feast. Will chase squirrels into traffic during rush hour, then wait until traffic dies down to eat the dead squirrels. Will pull the tails of dogs (tail pulling seems to be a favorite crow activity, by the way) to trick them out of their dog food, either by dropping food they have in their mouth, or by ganging up so that one crow distracts the dog while the other steals its food. Are big “cachers” – they hide food and trinkets they don’t need right away – and if they notice a fellow crow watching them hiding their cache, they will fake the other crow out by stuffing the item into its chest feathers or in its beak and pretend to cache it in one location, but secretly hide it elsewhere later. Although they are also so smart that they know that other crows are trying to fake them out, so this is a vicious cycle. Moreover, if a crow sees another crow getting near its cache, they will make a distraction and retrieve the cache before the other bird can get to it…but only if the first crow previously saw the second crow see the first crow hiding it. Calling someone a “bird brain” is supposed to be an insult, but crows come close to OVER thinking things! Can count, and understand that even if they can’t see something, it’s still there. Eight researchers in a blind tried to trick crows into thinking a field was safe to land in and not a single crow would leave their high perches until all eight people had left the blind and the field – even when the researchers left the blind in groups of random numbers to try to fake them out. Learn from the mistakes of other crows. If a crow sees one of their brethren die or become injured, through misadventure or through human intervention, none of the other crows in the area will make the same mistake. Ever. Remember human faces – for years. And they’ll tell all their friends if you are a good or a bad person. If you do something bad to a crow or a crow sees you do something bad to some other crow, that crow will harass you – forever – and so will others he knows. Crows who never even saw the original infraction will harangue you (proving crows have some sort of language they use to communicate with each other) even when the crow you originally slighted isn’t around. Know what car you drive. Maybe you should just read the book for an explanation of that one, but yeah. They don’t just know your face, they know your car. And they’ll use your car as a vehicle to show their displeasure with you. Remember and reward kindnesses in humans as well as meanness. Crows have been known to bring gifts – often some shiny, human trinket they’ve stolen – to people who have fed them or saved their life. Basically, crows (and all birds in the corvid family, which also includes ravens, rooks, jays, magpies, and others) are ridiculously smart, rivaling apes and, in my opinion, some humans. In fact, I kind of think the only reason they haven’t taken over the planet is because they’re lazy and are just waiting for us to come up with all the technology we can. Crows don’t want to be bothered by discovering cold fusion for themselves. Once we’ve created everything crows think they need to rule the earth, I think that’s the end of us. 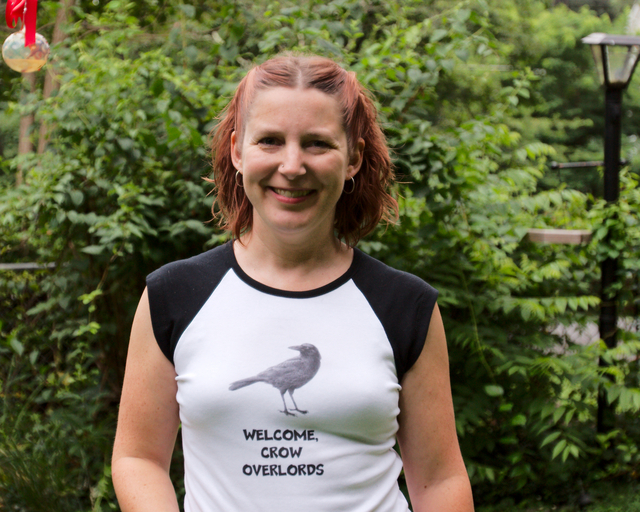 To that end, I designed this t-shirt so when our new crow overlords arrive they know that I’m a sympathizer. There were crows cawing nearby when I took that picture, by the way, although none stopped by. I’m sure they can read English, however, so they’re probably already putting word out that I can be counted on during the great crow uprising. They are remarkable creatures and I hope to be involved in crow rehab in the future. First, though, the raptors…coming soon. I’m still trying to kick the cold I mentioned in my last post, but I did have the energy to make some illness-defeating soup last night: Thai “chicken” noodle. Put the rice noodles in a large pot and cover with cold water. Soak for 20 minutes (or longer), then bring water to a boil. Once the water is boiling, remove it from the heat and let the noodles sit until they are soft (this will only take a few minutes). 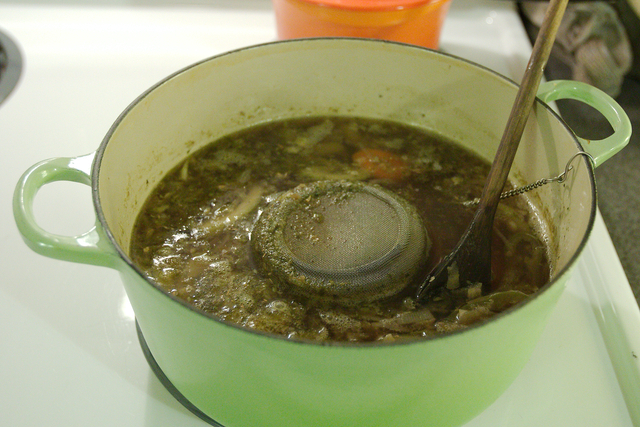 Drain and rinse with cold water to stop them from cooking. Set aside. Heat some oil in a Dutch oven and add the shallots and garlic. Cook until beginning to brown. Add the broth, ginger, lime juice, rice vinegar, and soy sauce. If you have a large tea strainer that closes, put the bay leaves and lemongrass in it and put it in the pot. (If you don’t have a tea strainer, add the lemongrass with the shallots and the bay leaves with the broth, remembering to remove the bay leaves later. I use the tea strainer because lemongrass never seems to get entirely soft for me and I don’t like eating hard bits of it in soup.) Bring everything to a boil. Reduce heat and simmer for 10 minutes. Add the carrot, celery, and chilies and continue to simmer until the carrots and celery are soft. 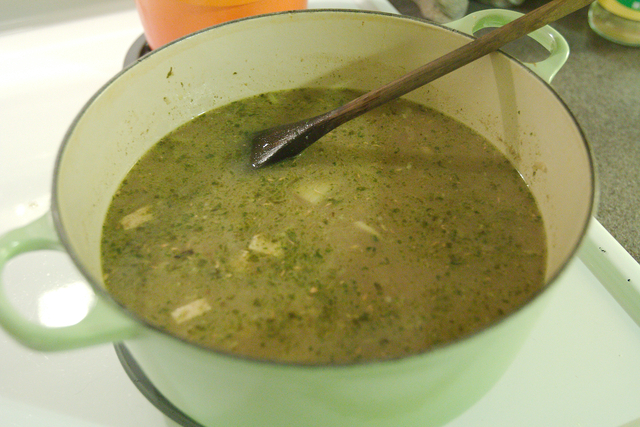 Add the coconut milk, chopped “chicken”, and cilantro and simmer gently for another few minutes. 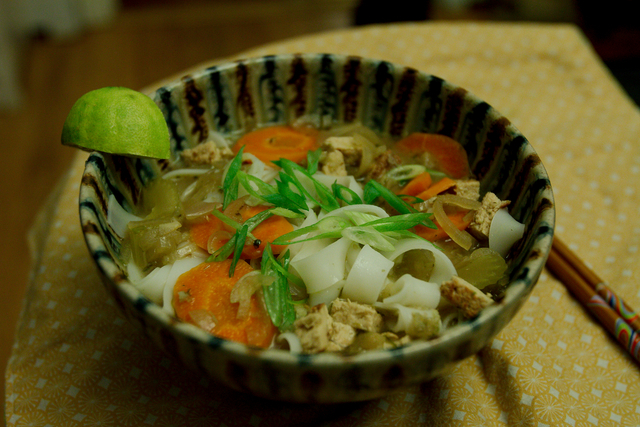 To serve, put a heap of rice noodles in a bowl and ladle broth over them. 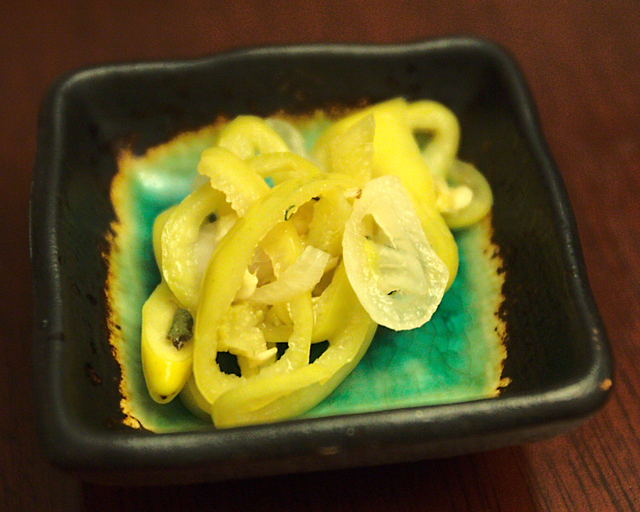 I sprinkled mine with thinly sliced scallions and had some sriracha and lime wedges nearby. This was an interesting change of pace and certainly had all the ingredients I look for in a make-me-feel-better meal (garlic, ginger, chilies, broth), although pho is my all-time favorite. I’d have made it tonight if I hadn’t been out of star anise! Pictures of animals, you say? 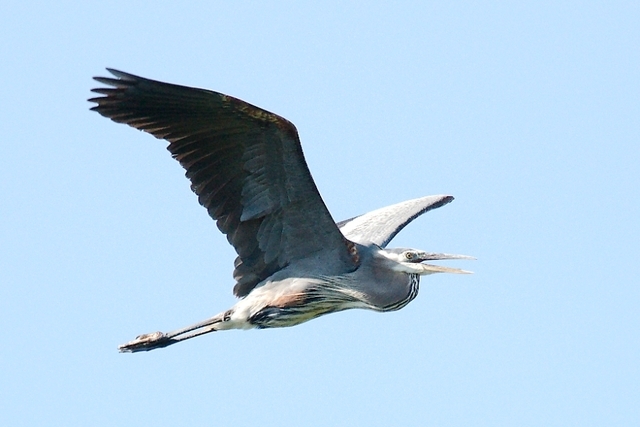 Here is a great blue heron. I see at least one of them every time I’m out. It’s weird. 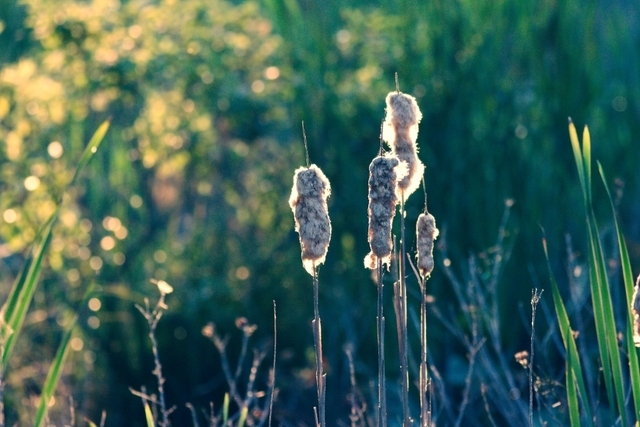 Not an animal, but named for one: cattails. 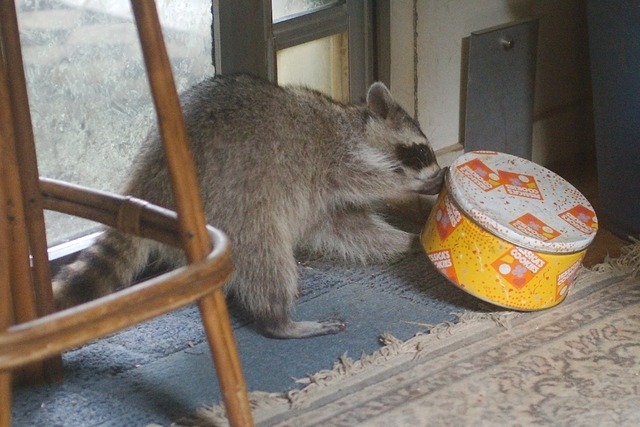 And to wrap things up, a raccoon trying to steal cookies, probably successfully. I really do plan to start posting recipes more frequently so I feel guilty making a non-recipe post today, but as it turns out, I have a cold and I simply don’t have the energy to cook anything interesting, let alone photograph and write about it. 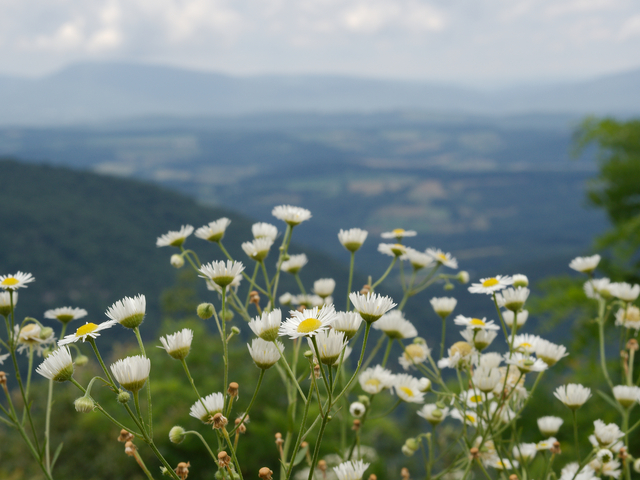 However, I did just return from a beautiful weekend in the mountains with Mark and I have some pictures, so that’ll have to suffice for today. 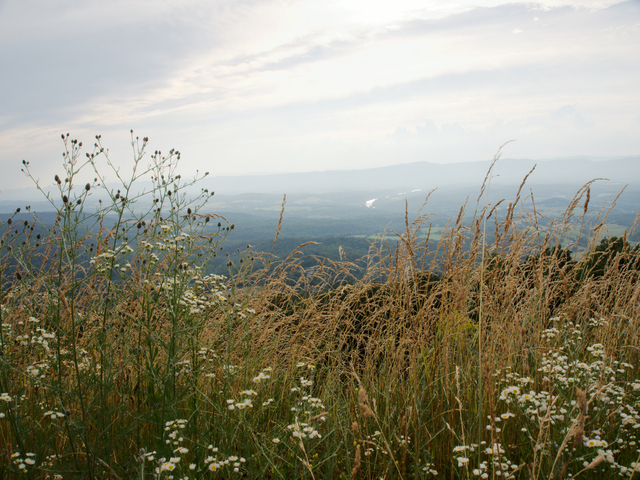 As a surprise for me, Mark made reservations at a B&B in the Shenandoah Valley – about a 2 1/2 hour drive from our home in Northern Virginia – and we spent the weekend taking in the sights. 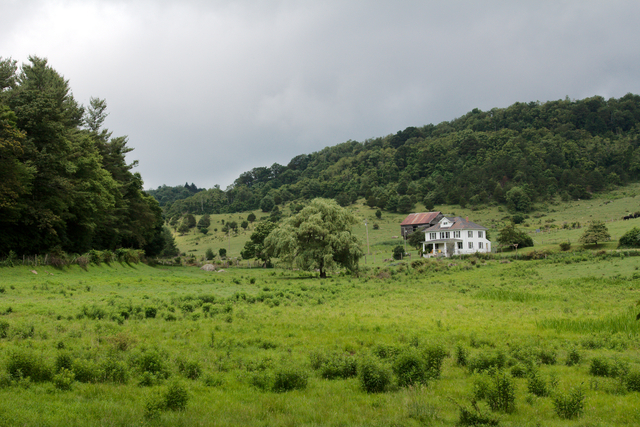 Although we stayed in one of their three cottages, which typically do not include breakfast, Fox Hill is vegan-friendly and were able to fit us in for breakfast one morning, where we enjoyed bagels, fruit, and vegan French toast. And I loved the ability to make our dinners in our full kitchen. 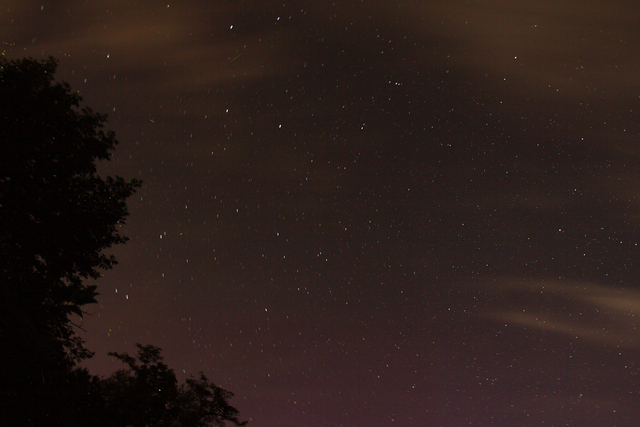 Mark is always striving to get so far away from city lights that we can see the stars without light pollution. 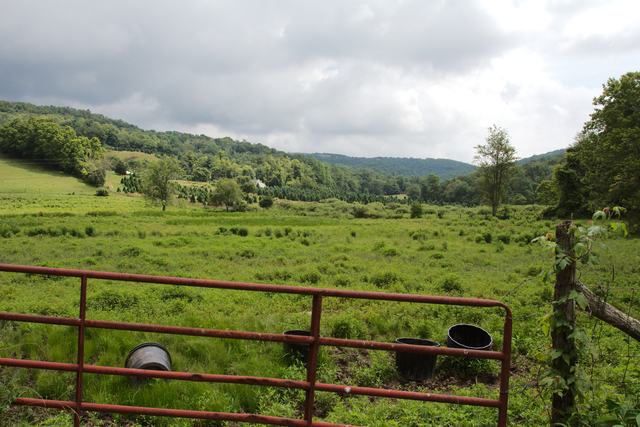 Despite clouds, we had a great view of the stars, although Mark was disappointed we could hear traffic noises from I-81. 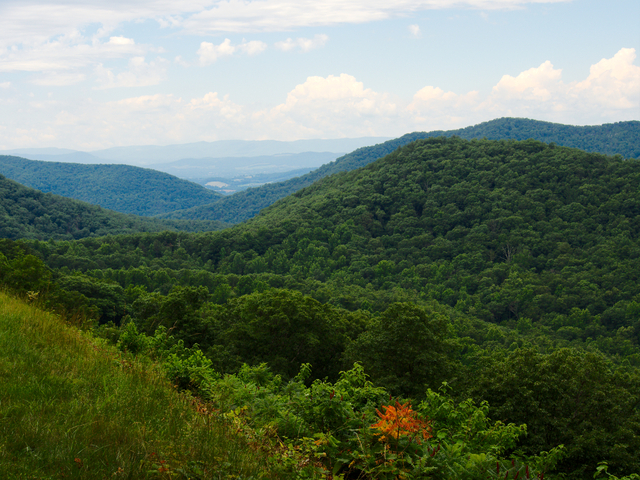 We spent much of Saturday driving around the northern part of Blue Ridge Parkway. 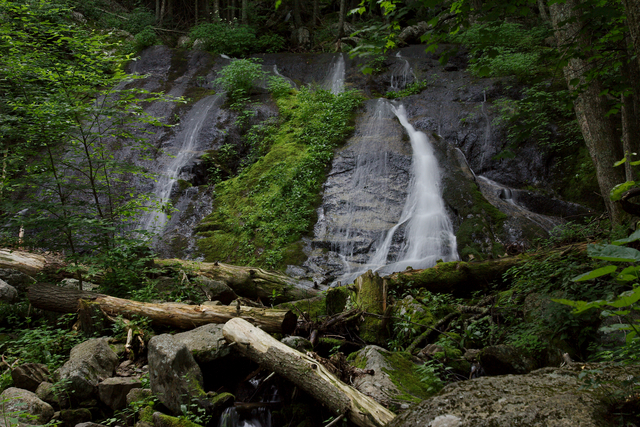 Yankee Falls is visible right from the parkway. 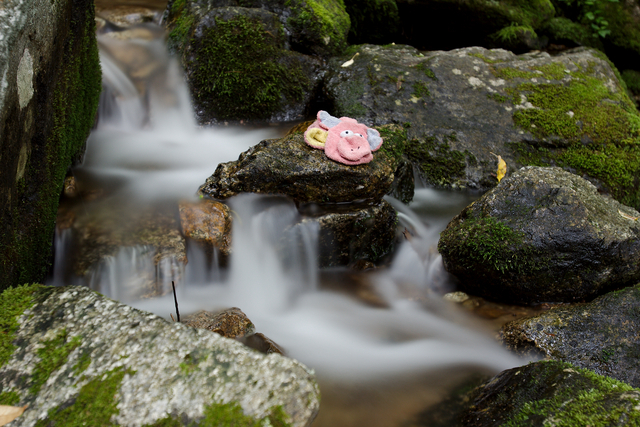 Nearby, Pig enjoyed his own little Pig-size falls. Mark enjoyed taking his Jeep down some of the logging and narrow local gravel roads, that seem to go for miles, through dense forest, passing nothing but the occasional abandoned camp site. 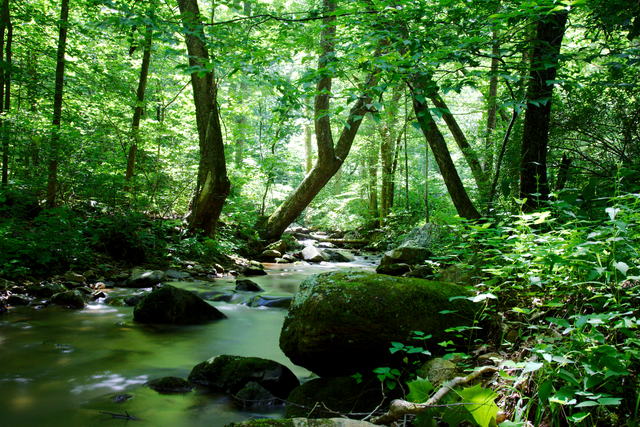 Here is a creek we found in the middle of nowhere. And okay, here is the real reason I wanted to do a post! I PHOTOGRAPHED AN OWL! This is a barred owl and I was so excited because a few weeks ago my aunt sent me a picture of a barred owl that my uncle had taken at their cabin in West Virginia and I was very jealous because by nature, owls are REALLY hard to see in trees and as they are nocturnal, you rarely see them flying around, so my hopes of ever being able to photograph a wild owl were pretty low. Then what did we see flying into a tree less than a month later, off some non-road in the George Washington National Forest? 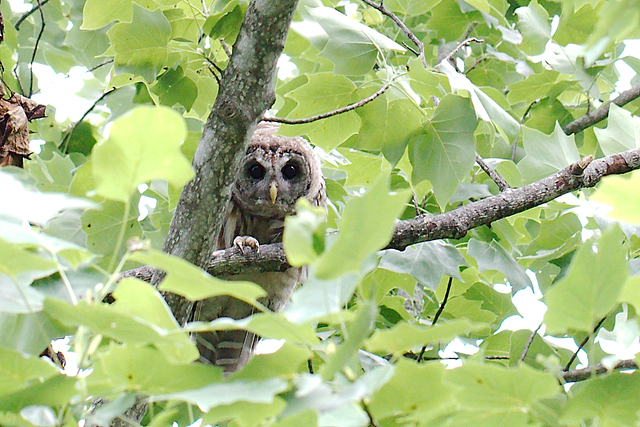 A barred owl! He was sooo cute, all hunched down trying as hard to see us through the leaves as we were trying to see him! Back at Fox Hill, we went back out after dark to take more star pictures, but found the sky completely covered in clouds, with non-stop lightning brightening the sky….which was perhaps even more fun to photograph than the stars. I don’t like doing a lot of processing with my pictures. For one thing, I don’t like the look of overly processed photographs, and for another, I don’t have the time or patience to spend hours behind a computer working on an image, and for yet another, I’ve had no success getting Photoshop to run on Linux. If I absolutely need to, I can use gimp to do Photoshoppy things, but I’m embarrassingly ignorant on how to use it and all the photography books and sites I read are Photoshop-oriented. However, it’s very rare I don’t make some minor change to a photograph such as adjusting the white balance or exposure, or in the case of wildlife pictures, usually cropping, so I usually spend a minute or two on each photo in Aftershot Pro. 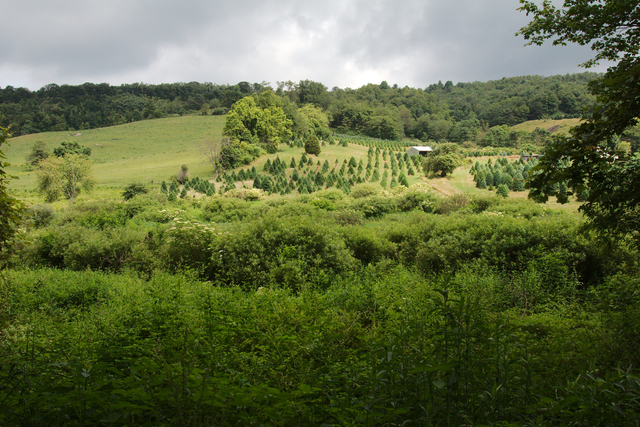 I was surprised therefore to see the pictures of a Christmas tree farm I took near Vesuvius, Virginia, looked perfect right off the camera. All I did was convert these from RAW to JPG. 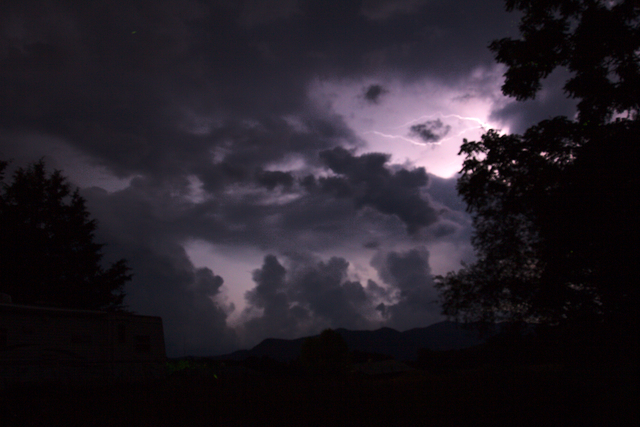 I guess it was the lighting from the storm clouds or something; something about this scene just captivated me. Sunday afternoon we got back on Blue Ridge Parkway, heading north towards home this time. 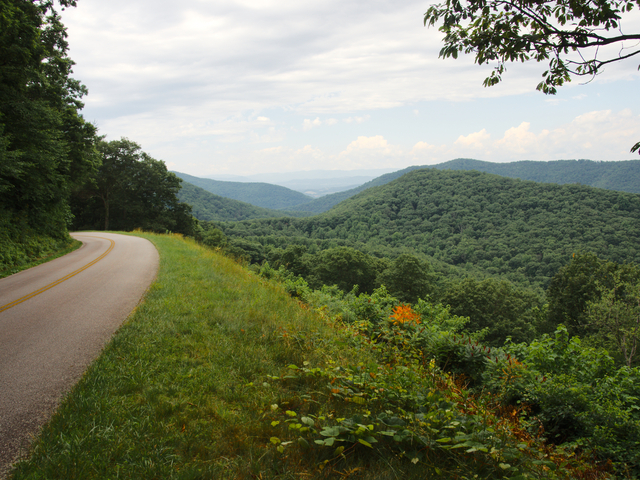 Blue Ridge Parkway turns into Skyline Drive at Shenandoah National Park, which after its full 105 miles deposited us near Route 66 in Front Royal about an hour from home. 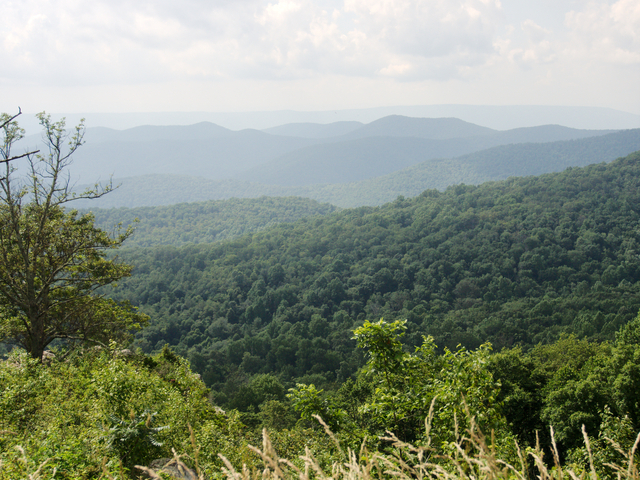 This drive took considerably longer than I-81 but is of course magnitudes more beautiful and we stopped at a high percentage of overlooks. 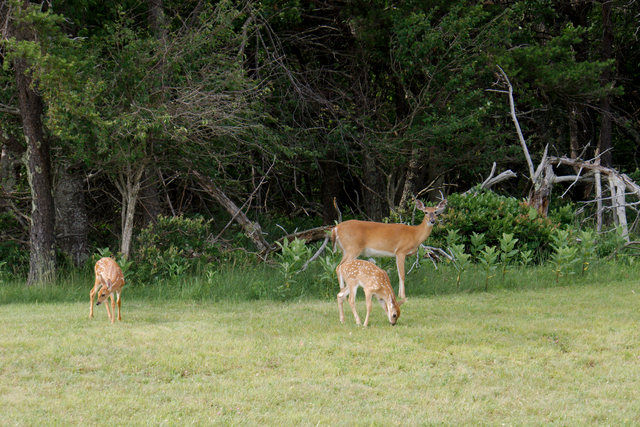 Another first: I see and photograph does and fawns frequently, including in our own yard. 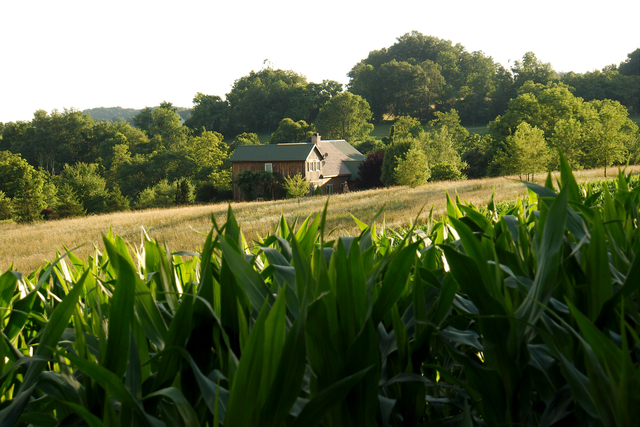 So this mother and two children in Shenandoah were, while lovely, not that special. 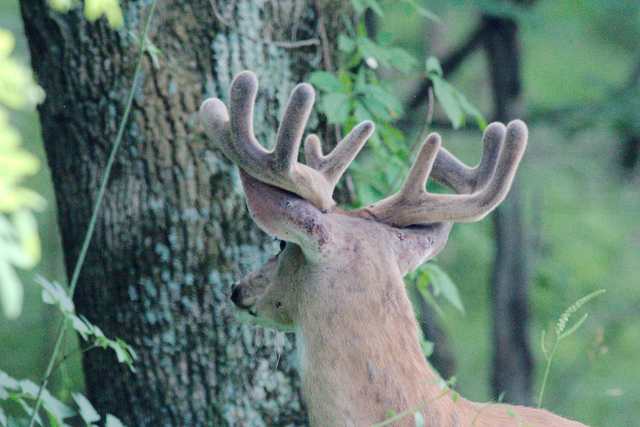 But….I don’t think I’ve ever photographed a buck before! 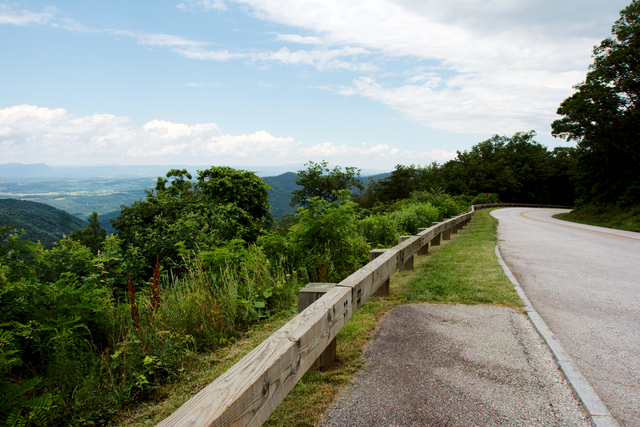 Finally, here’s an overlook near the northern end of Skyline Drive. All in all, an absolutely perfect weekend – minus the cold I seem to have come down with. And now I’m going to curl up with a book and feel sorry for myself until my throat stops this stupid tickling. I have another post I want to do this week, so hopefully I’ll be feeling better soon.